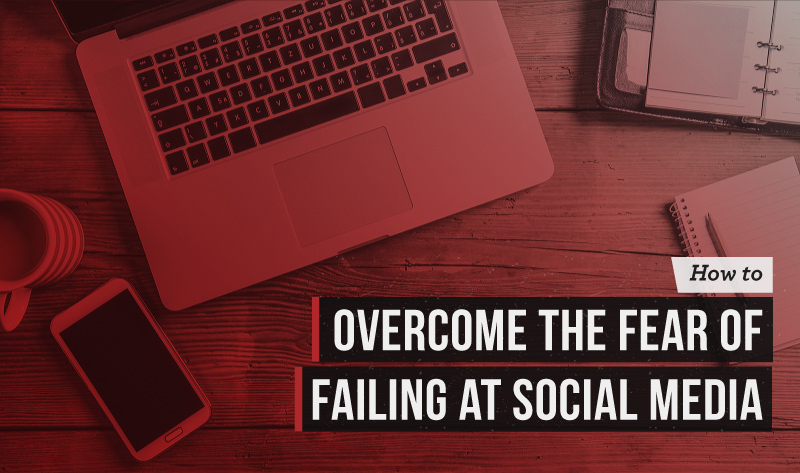 If there’s one thing that can prevent you from being successful in your professional life as a marketer, it’s the fear of failure. Marketing isn’t a safe industry and you can’t be good at what you do unless you’re willing to take chances and accept the possible negative consequences that come along with these gambles. Fear is the worst enemy of creativity. If you let fear dictate your career as a social media marketer, you’ll quickly find that all you do is play it safe. While you can make a career out of playing it safe, you aren’t going to be very successful. There’s a very low ceiling on your potential and you’ll never get to the place you want to be. As brand strategist Austin Iuliano writes, “I would rather fall on my face 1,000,000 times in my journey to success than to die in obscurity never amounting or trying for anything.” Those are strong words, but there’s a lot of truth to them. As the 19th century American author Christian Nestell Bovee once said, “We fear things in proportion to our ignorance of them.” In other words, much of our fear comes from a lack of training and experience. You’ve likely had at least some training in social media marketing. This may come in the form of a formal certification or on-the-job learning, but most marketers in the industry have experience. In order to overcome your fear of failing, you need to trust this training. “If you follow the fear of failure down to the root of the issue—it is never about failure,” Iuliano suggests. “It usually involves a mess of other things…like feeling embarrassed, being uncomfortable, or worrying about what other people think of you.” The latter is perhaps the biggest reason marketers are fearful. They want the approval of others and are afraid of what people will think if they fail." While it’s much easier said than done, you have to start ignoring the approval of others. There are times when approval is necessary – for example, the approval of your clients obviously matters – but learn to tune out those who don’t matter. You’ll find a lot of freedom in this. The social media industry is fluid. Networks come and go, new mediums are developed, and trends rarely remain the same from year to year. This means you need to become comfortable with the uncomfortable. By embracing change, you’ll realize that the unknown isn’t scary. In fact, it can be exciting and invigorating. In psychology there’s something known as “flooding” in which patients who have a particular fear are exposed to that fear for an extended period of time. Eventually, they realize that the very thing they fear isn’t so bad after all. 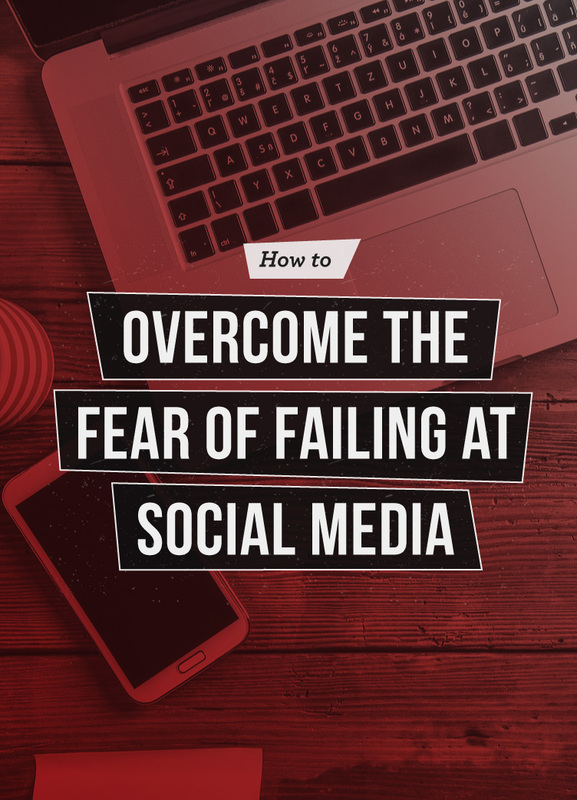 Some call this the “Immersion Technique.” When it comes to your fear of failing at social media, it may help to simply immerse yourself. Try different things and embrace the failure. You’ll soon realize that failing isn’t the worst thing in the world. Here’s the moral of the story: If you fear, you fail. Successful social media marketing requires you to take chances. And any time you take chances, things can be uncomfortable. You will fail on occasion – that’s unavoidable. However, you’ll ultimately make a name for yourself as a marketer who’s willing to take chances and see huge returns. Utilize the tips mentioned in this article and you’ll do just fine.